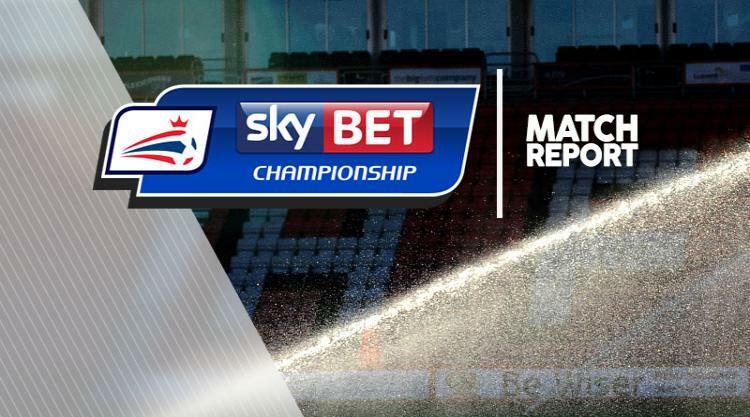 Bottom-of-the-table Bolton earned their first Sky Bet Championship win of the season by beating Sheffield Wednesday 2-1 at the Macron Stadium. Sammy Ameobi's first goal of 2017 was Wanderers' first in nine league and cup matches, ending a goal drought of nearly 13 hours - an embarrassing and unwanted club record. Phil Parkinson's strugglers, who doubled their lead with a Sam Hutchinson own goal, rode their luck after former Owls striker Gary Madine missed a sitter to make it 3-0 midway through the second half. Kieran Lee pulled a goal back and was then booked late on for a dive by referee David Coote, with Wednesday convinced they had won a penalty. To add injury to insult substitute Jordan Rhodes was carried off on a stretcher in stoppage time as Wednesday supporters called for manager Carlos Carvalhal's dismissal. Bolton had not scored since Jem Karacan struck a 67th-minute winner against Wednesday in an EFL Cup tie on August 22. And they were decent value for their interval lead, even if they needed Mark Beevers' goal-line clearance to keep them in front. Wanderers' confidence grew after Ameobi's goal. The former Newcastle man, making only his second start, curled in from 20 yards and Bolton led a Championship game for the first time in 18 months. Scotland international Steven Fletcher was denied an 18th-minute equaliser by Ben Alnwick only for Wanderers to break and nearly double their advantage on the counter attack. Former Wednesday favourite Madine eventually played in Josh Vela, whose angled shot was stopped by goalkeeper Jack Wildsmith. Defender David Wheater's header from the resulting corner was headed off the line by Jack Hunt. Wheater glanced a further header wide before a pivotal moment when the contest swung away from the visitors. Adam Reach thought he had scored but his shot from 12 yards was hacked off the line by Beevers. Under pressure, Carvalhal made a double change at the interval, taking off David Jones and Ross Wallace and bringing on Rhodes and Hutchinson. That was a move welcomed by 4,800 Owls fans among a crowd of 17,967. And it ensured Wednesday were more of a threat in a sensational second half. Rhodes, a regular scourge of Wanderers at the Macron, missed a sitter from Reach's cross just before the hour. When Vela had a shot blocked after Wildsmith's indecision, Bolton appeared to have lost their opportunity. Instead, Hutchinson turned substitute Filipe Morais' corner into his own net to make it 2-0 after 62 minutes. It surely would have been all over had Madine not inexplicably hit a post from four yards out moments later, with the goal at his mercy. Inspired by the their great escape Wednesday hit back. Morais was booked for hand-balling Rhodes' goal-bound effort only for Lee to bundle in the loose ball. Substitute Lucas Joao's first touch since replacing Fletcher was then saved by Alnwick's legs. Wednesday piled forward in search of an equaliser but finished the game with 10 men after Rhodes suffered an injury in a collision with Wheater.